How has your day been so far? 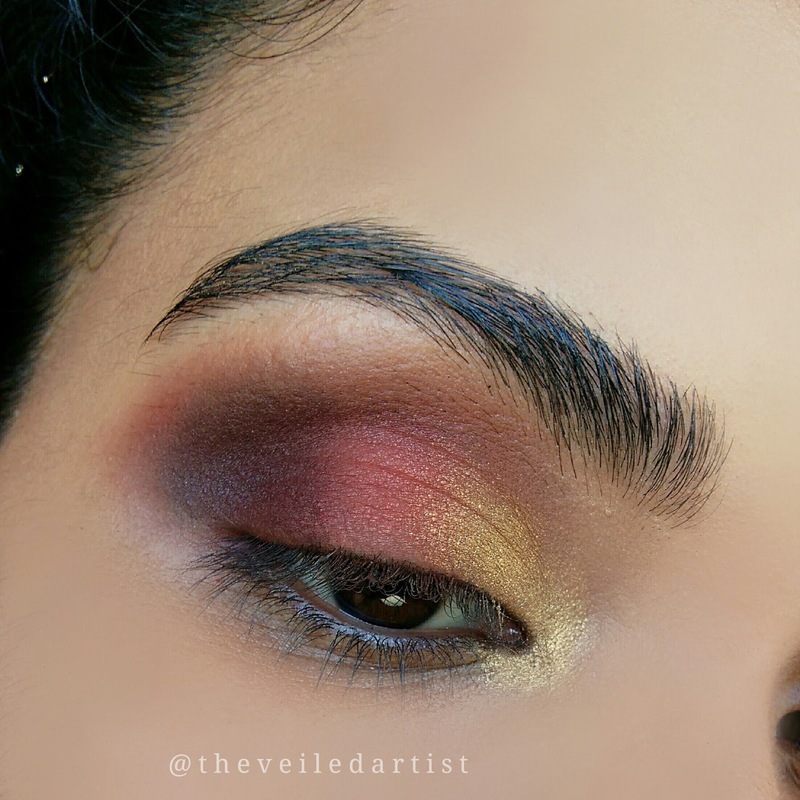 I found a really pretty antique looking gold shade in the LA colors haute eyeshadow palette that I just had to create a look using it!! If you're a beginner don't be intimidated! 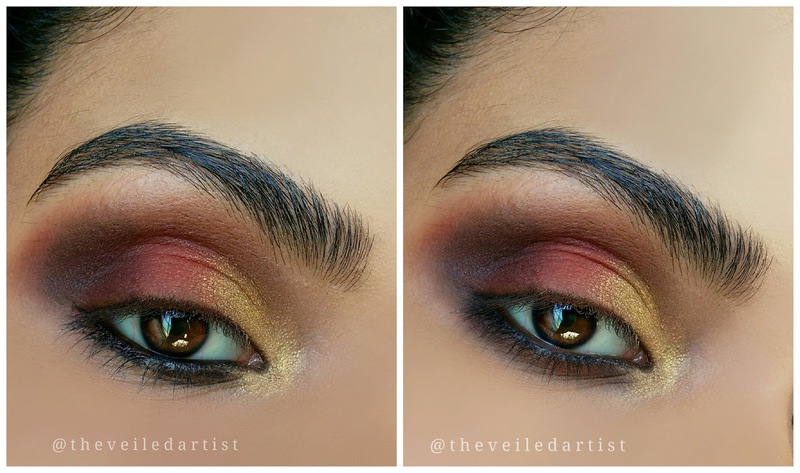 It's a lot easier to recreate that you think so scroll down for the easy comprehensive tutorial! 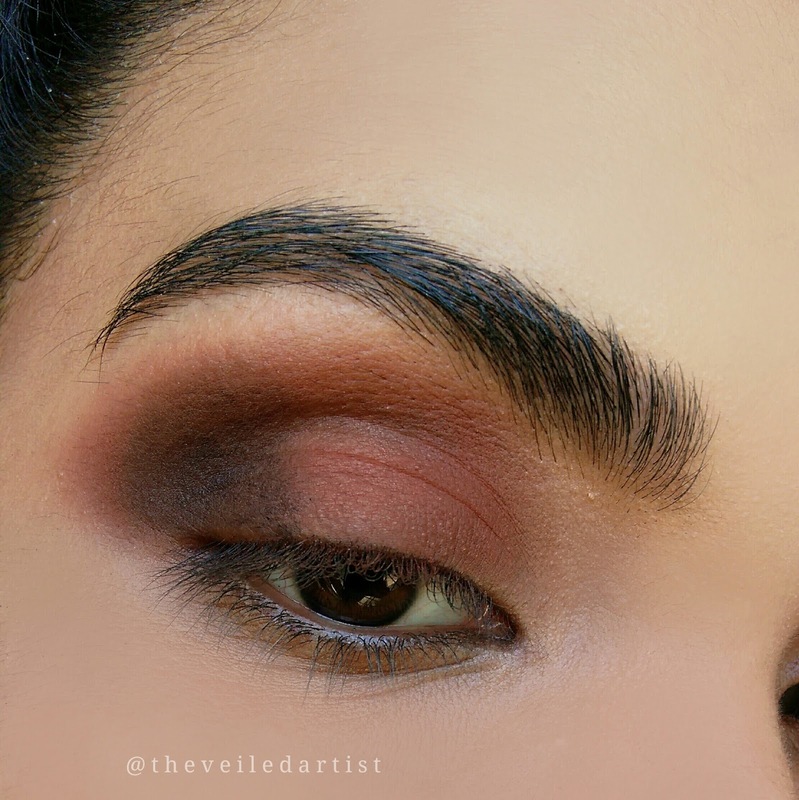 After priming your eyelids, using a fluffy blending brush, blend the matte brown eyeshadow all over your lid, into the crease and a little above it. 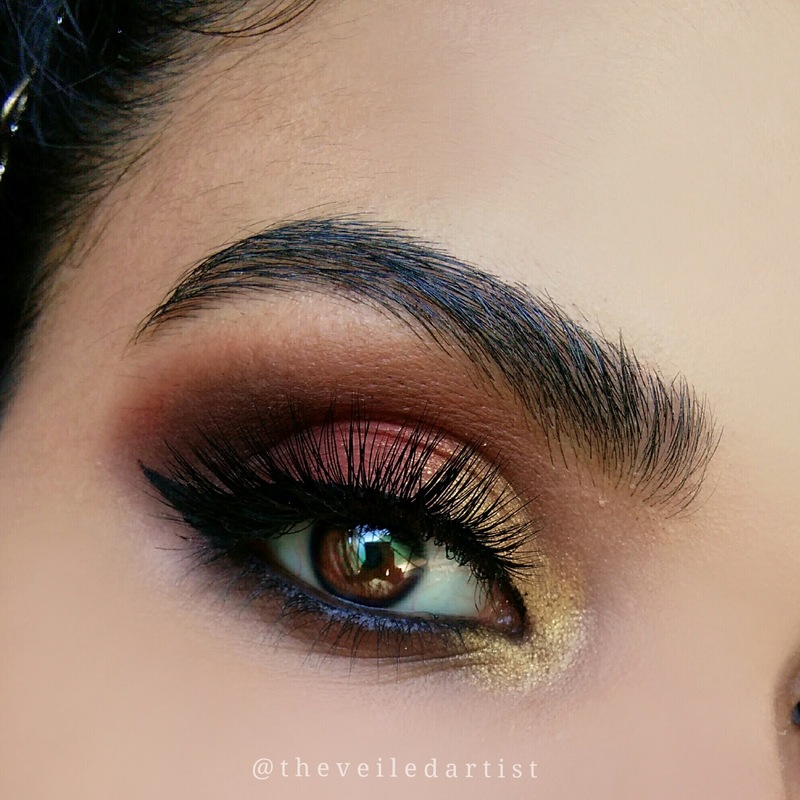 Blend the matte black eyeshadow into the outer v of your eyes and onto the outer half of your eyelids. 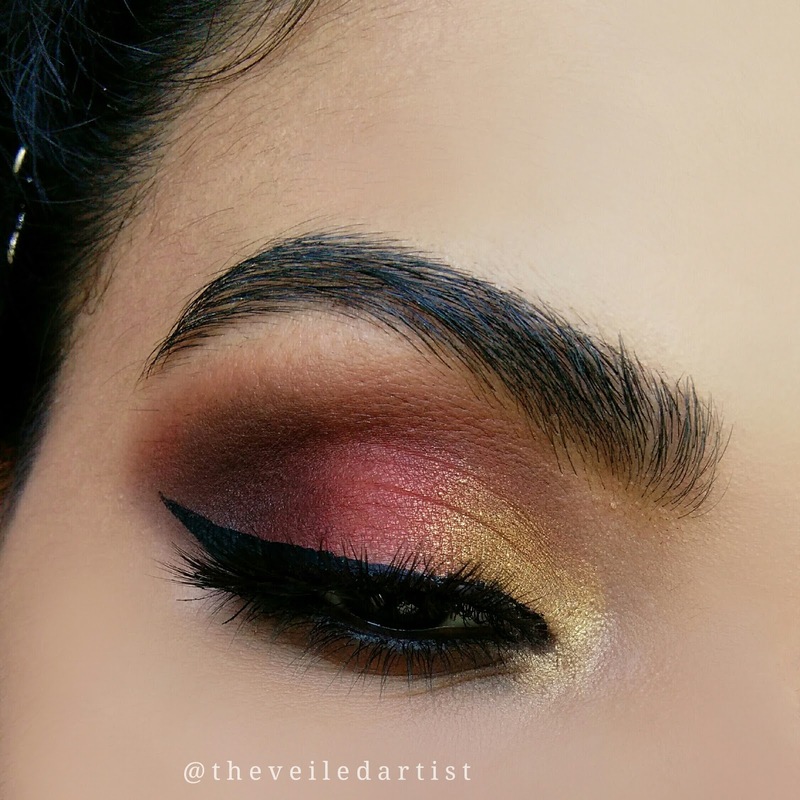 You can use a dark brown shade for this step if you have very light skin as black can look a little too stark. 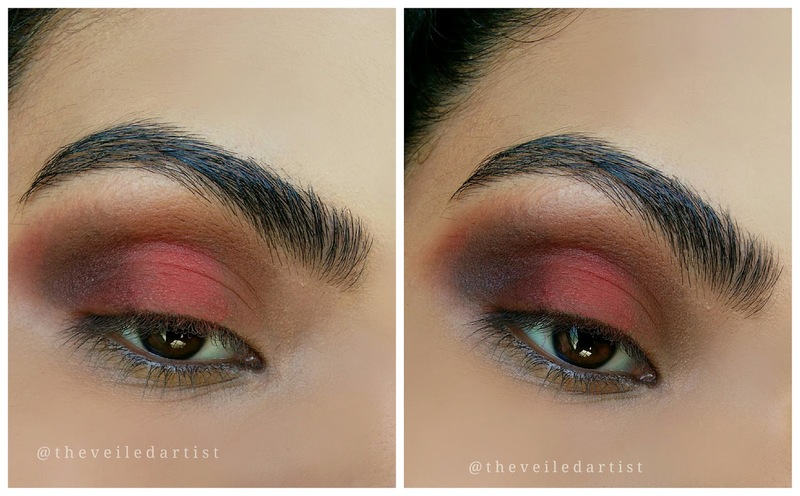 Pat some matte red eyeshadow onto the center of your eyelids(left) and blend it out and into the black we previously applied(right). 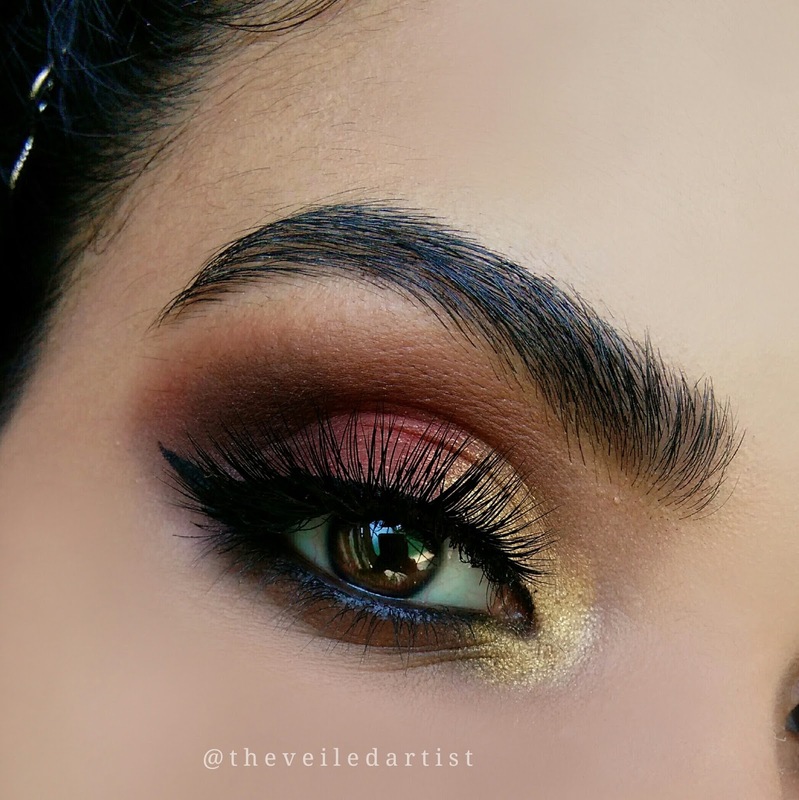 Apply the gold eyeshadow into the inner thirds of your eyelids and the inner corners of your eyes. 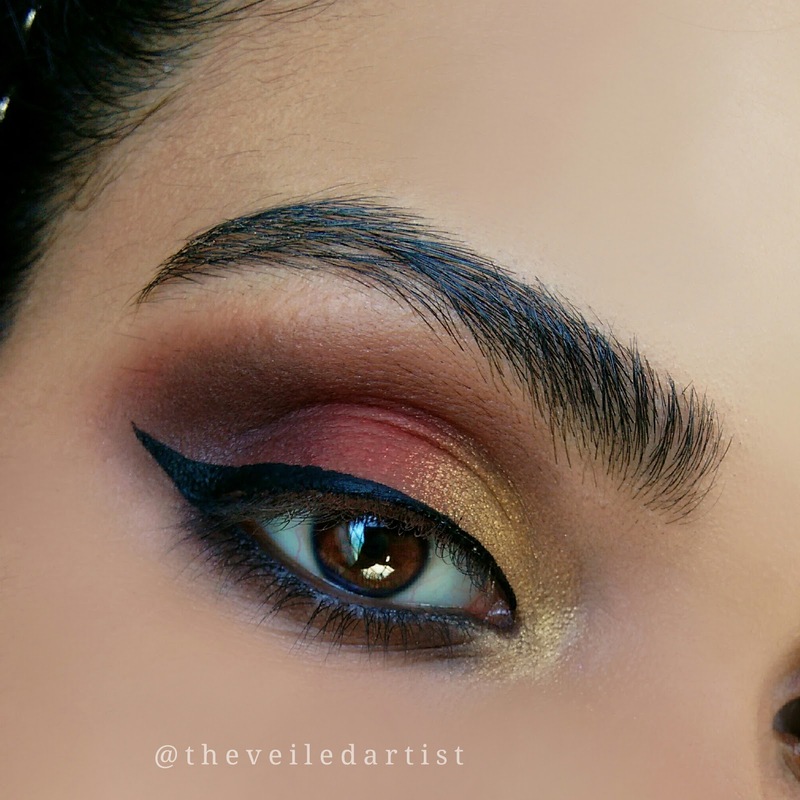 Heavily apply a black or dark brown creamy pencil liner on your lower waterline(left) and using the same matte brown eyeshadow we used in the crease, blend the liner out using left to right motions(right). 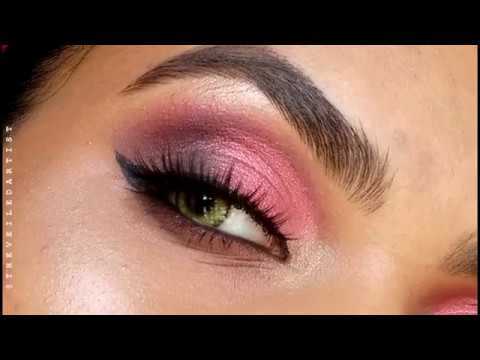 Curl your lashes and apply mascara and you're done! 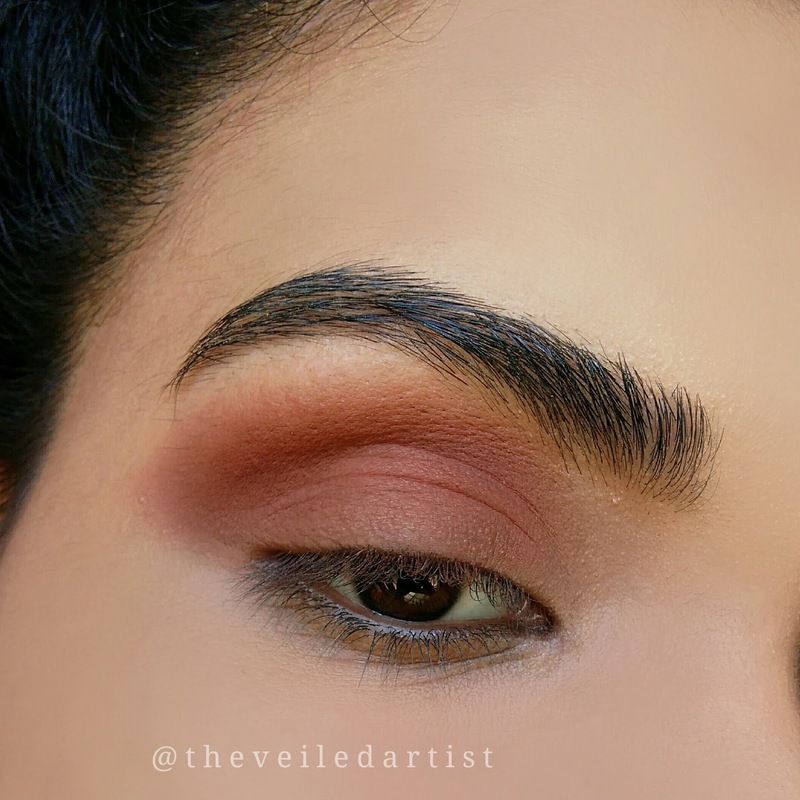 I popped on a pair of falsies as well! Thank you so so much for reading guys! 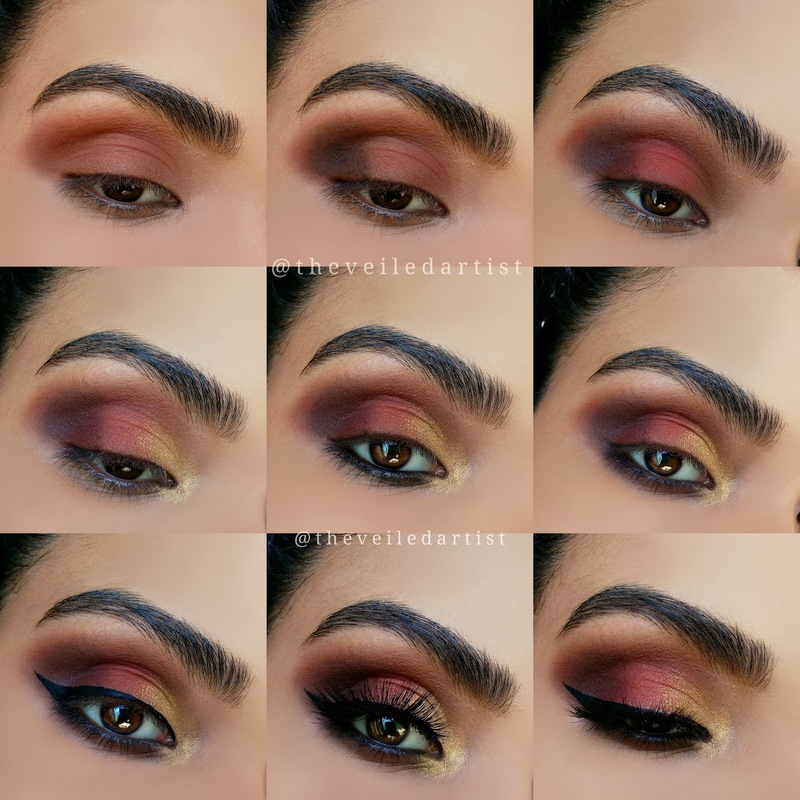 If you liked this tutorial, I have many more similarly easy tutorials and you can find them here!